Hi, I’m Irene Ashurst from Vindoux Guest Farm in Tulbagh in the Breede River Valley. 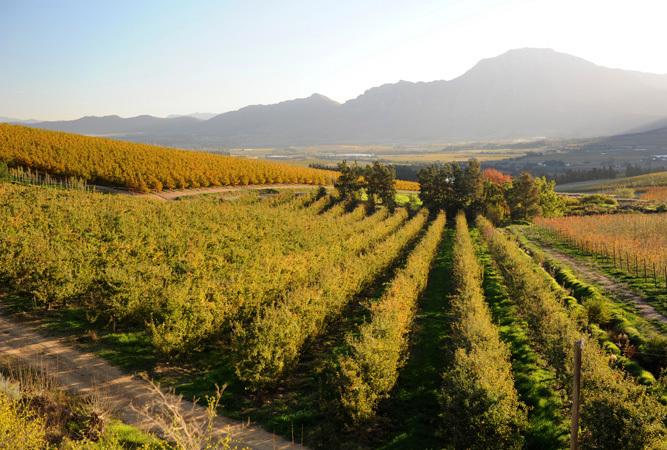 Tulbagh IS BEST KNOWN FOR its wine and fruit farming as well as all of the great wedding venues. GET YOUR PICTURE TAKEN AT Montpellier little chapel which is set in the vineyards on the Twee Jonge Gezellen Road. THE BEST mountain PICTURES CAN BE TAKEN AT Vindoux on the balcony of the Tree Lodge. OTHER HAPPY SNAPS AT can be taken so many places in this beautiful valley. 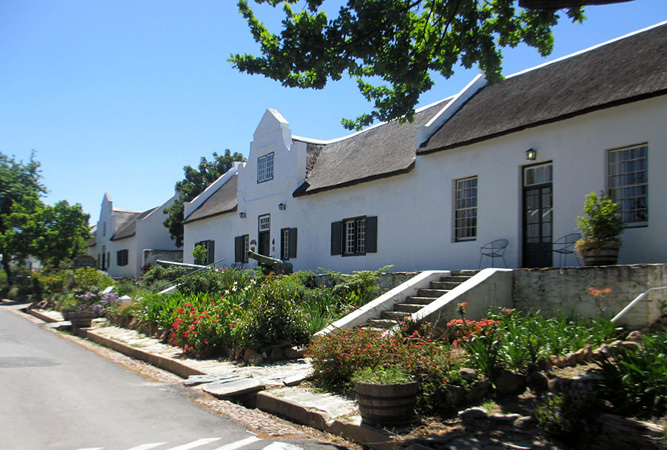 WHEN THE WEATHER’S GOOD, I LIKE TO cycle to the wine farms, walk at the waterfall and relax on Church Street with its National Monuments (we have the largest collection of National Monuments 32 in total and the most in one street in South Africa). WHEN THE WEATHER’S BAD, I LIKE TO wine and dine in front of a cozy fire at one of the restaurants; Readers, Paddagang, Manleys, Things I Love and Olive Terrace at the Tulbagh Hotel. I THINK THE BEST TIME OF YEAR TO VISIT IS all year round, BECAUSE we have hot weather in the summer and snow on the mountains in the winter. MY FAVOURITE BREAKFAST SPOT IS Café Bravo on the main street for its friendly atmosphere and great food. They are open from Tuesday to Sunday from 09h00 til late. FOR LUNCH, I SUGGEST any of our great restaurants, you will have a delicious meal anywhere – there is so much choice. MY FAVOURITE RESTAURANT IS Number 29 Church Street, TRY THE try the surf and turf (steak and calamari incase you were wondering). BEST LATE NIGHT SNACK FROM Pammies Restauarant. MY FAVOURITE leisurely lunch SPOT IS Waverley Hill Organic Wine Farm. FOR A NIGHT OUT ON THE TOWN TRY Saronsberg Theatre. IF YOU WANT TO MEET LOCALS, GO TO anywhere is Tulbagh, you will be sure to find our friendly folk all around the town. 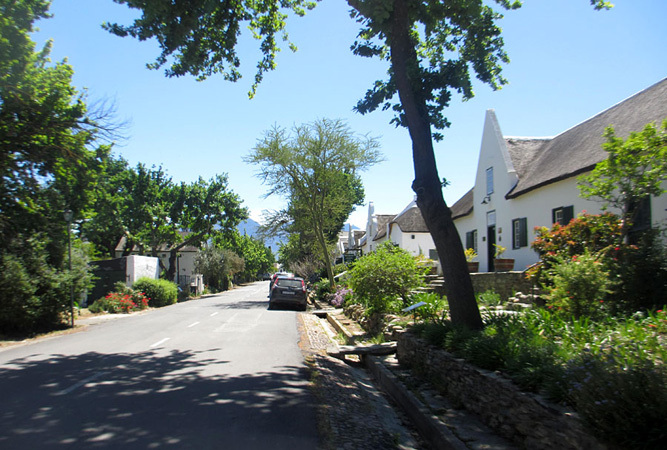 Tulbagh’s BEST KEPT SECRET IS that it has a quiet peaceful atmosphere where time stands still. MY FAVOURITE THING TO DO WITH FRIENDS IS wine tasting at one of the lovely wine cellars. I also really enjoy relaxing at Vindoux and braaing in the lovely garden. FOR SOME CULTURE OR LIVE MUSIC, I LIKE TO GO TO Saronsberg Theatre. TO RELAX AND RESTORE MY SOUL, I LIKE TO go to the Vindoux Day Spa for a pampering day and lunch. IF YOU’RE FEELING ADVENTUROUS, TRY a Ceres Zip Slide or a walk to the waterfall. MY FAVOURITE TROT IS horse riding at one of the stables in the area. MY FAVOURITE gift SHOP IS Things I Love. MY FAVOURITE bird WATCHING SPOT IS the balcony of one of Vindouxs Tree Houses. IF YOU’RE HERE IN June, JOIN IN THE FUN AT Christmas in Winter festival. MY FAVOURITE MUSEUM IS Earthquake Museum. OR YOU CAN CHECK OUT THE Oude Kerk Museum Complex. MY FAVOURITE BUILDING IS Cape Dutch Quarter Guest House, FOR ITS historic interest and all of Church Streets wonderful buildings. TRAVELLING WITH CHILDREN? A FUN OUTING IS Ceres Zip Slide or cycle hire at Vindoux- the Matroosberg Nature Reserve (45 mins away). Or stay at Fynbos Guest Farm where they have lots of animals. BEST CHEAP AND CHEERFUL OUTING IS walking and enjoying the scenery and walking to the waterfall. WHEN MONEY’S NO OBJECT, I LIKE TO go the one of the open air concerts at Saronsberg Wine Farm. THE MOST UNUSUAL THING I SEE HERE IS Santa on a fire engine in June! MY FAVOURITE WEEKEND GETAWAY IS Hout Bay, Cape Town. WHEN I WANT TO GIVE BACK TO THE COMMUNITY, we at Vindoux try to support local events with raffle prizes and gift vouchers. 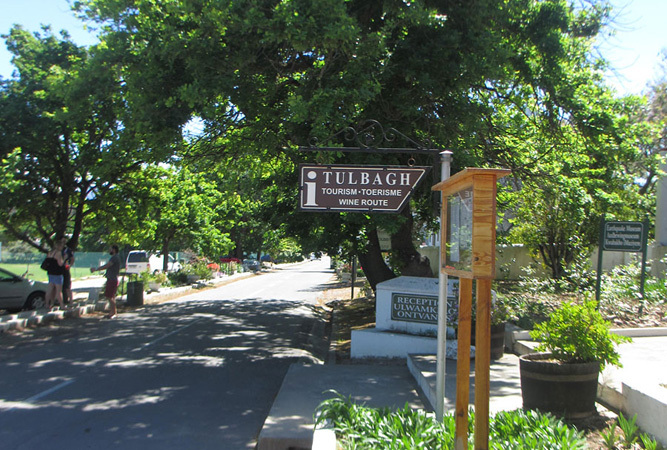 I Love Tulbagh BECAUSE it is a beautiful valley, rich in culture and history but a haven away from the hustle and bustle of daily life where you can unwind and relax but still be part of a vibrant community.